Study after study, and such influential researchers as Dr. Martin Blaser (at New York University) have warned about antibiotics having a negative effect on the human microbiome - that they kill off gut microbes. And all conclude that therefore antibiotics should be used carefully - only when needed. But there are other reasons to be cautious about antibiotics as a recent article warned. Some people who take the class of antibiotics called fluoroquinolones develop a syndrome called fluoroquinolone-associated disability (FQAD) which causes crippling side-effects, including irreversible nerve damage. People who have fallen ill after taking fluoroquinolones call it being "floxed". The FDA currently has "black box" warnings about fluoroquinolones - that they can cause tendon rupture or a risk of irreversible nerve damage in those taking the antibiotics. Black box warnings are placed inside a black box on drug labels and call attention to serious or life-threatening risks. Millions have taken these drugs, but some (the FDA considers it a rare event) develop the serious side-effects. In 2014, Miriam van Staveren went on holiday to the Canary Islands and caught an infection. Her ear and sinuses throbbed, so she went to see the resort doctor, who prescribed a six-day course of the popular antibiotic levofloxacin. Three weeks later, after she had returned home to Amsterdam, her Achilles tendons started to hurt, then her knees and shoulders. She developed shooting pains in her legs and feet, as well as fatigue and depression. “I got sicker and sicker,” she says. “I was in pain all day.” Previously an active tennis player and hiker, the 61-year-old physician could barely walk, and had to climb the stairs on all fours. Since then, she has seen a variety of medical specialists. Some dismissed her symptoms as psychosomatic. Others suggested diagnoses of fibromyalgia or chronic fatigue syndrome. Van Staveren is in no doubt, however. She’s convinced that the antibiotic poisoned her. She’s not alone. Levofloxacin is one of a class of drugs called fluoroquinolones, some of the world’s most commonly prescribed antibiotics. In the United States in 2015, doctors doled out 32 million prescriptions for the drugs, making them the country’s fourth-most popular class of antibiotic. 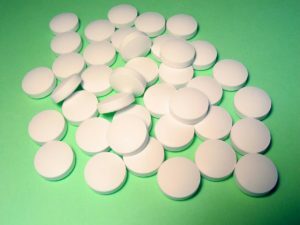 But for a small percentage of people, fluoroquinolones have developed a bad reputation. On websites and Facebook groups with names such as Floxie Hope and My Quin Story,thousands of people who have fallen ill after fluoroquinolone treatment gather to share experiences. Many of them describe a devastating and progressive condition, encompassing symptoms ranging from psychiatric and sensory disturbances to problems with muscles, tendons and nerves that continue after people have stopped taking the drugs. They call it being ‘floxed’. ...continue reading "Some Antibiotics Can Have Crippling Side Effects"